It looks like the Star Trek reboot’s threequel won’t be the final frontier for stars Chris Pine and Zachary Quinto. 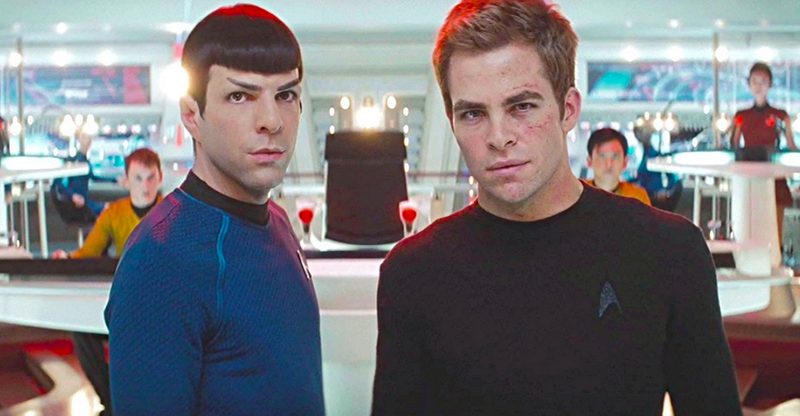 Pine and Quinto, who play Captain Kirk and Mister Spock, respectively, have re-negotiated their contracts with Paramount Pictures and Skydance Entertainment for a possible fourth film in the J.J. Abrams-designed Star Trek franchise. In the new contract, The Hollywood Reporter says that Chris Pine has made about $6 million—$3 of which will be for the unnamed third Star Trek movie that began filming this week. The new contracts will add between $10-$15 million to the third Star Trek’s budget, according to the Reporter, but it seems like a worthy investment. The Pine and Quinto pairing is a key factor in the Star Trek franchise at this point. And though they were contractually obliged to star in three Star Trek films, nothing held them to a fourth. If the third Stark Trek continues the series’ upward box office trend (Stark Trek grossed $385.7 million while Star Trek: Into Darkness made $467 million), then the studios should stick with what works. Or, as Spock would say, it’s only logical. Are you happy that Pine and Quinto are on-board for a possible fourth Star Tek film? Let us know in the comments! The third Stark Trek film hits theaters in 2016.